Scientists and researchers from major labs are putting their minds and grant dollars into gene editing tools like CRISPR, which enables humans to modify genetic code. Host Frank Stasio talks with Todd Kuiken, senior research scholar for the Genetic Engineering & Society Center at North Carolina State University. 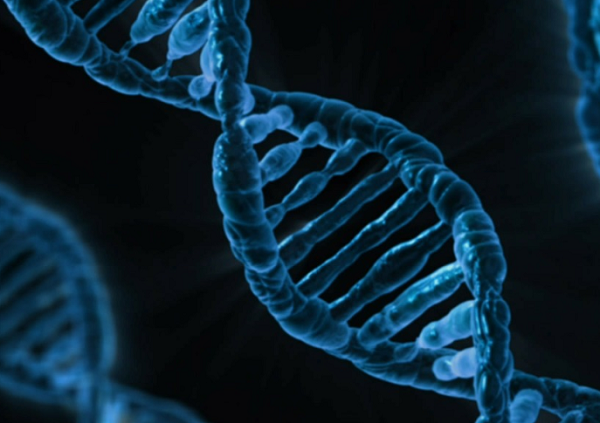 A newer biotechnology, gene drives, actually allows scientists to re-program an organism's genome so that the changes introduced will be propagated in future generations. The promise of these synthetic biology tools is huge for problems such as malaria and invasive species control. But scientists are also calling for greater thought and reflection as we make changes that could have unforeseen consequences on organisms and ecosystems. Host Frank Stasio talks with Todd Kuiken, senior research scholar for the Genetic Engineering & Society Center at North Carolina State University, about who should have access to gene editing tools and how the international community might continue to regulate them. What CRISPR enables you to do is actually to make those edits inside the genome at very specific locations. And not just at one particular location, at multiple locations in a very precise way. And what's sort of revolutionary about the technique is that it's easier … So if you think about what traditional genetic engineering, like a GMO plant for instance, in essence what scientists were doing were importing those genes or blasting that one genetic trait into a plant species. What CRISPR enables you to do is to make those edits inside the genome itself internally. So in essence changing the internal code of those genes. One of the promises, so to speak, that people are looking at utilizing CRISPR is to deal with disease vectors. So malaria is transmitted by mosquitoes. If you could utilize these techniques say, for instance, for engineering a genetic trait that would either make all of the offspring infertile … Over time that population of mosquitoes could potentially die out. Another potential option that NC State is a partner with is looking at invasive rodents on the islands and whether or not you could in essence drive some of these genetic traits through the population of, say, island mice that aren't supposed to be there. All of their offspring become male. Over time that population dies, and you in theory have eliminated that invasive species from a particular island. If you look at what we were talking about with CRISPR, and you're able to make that genetic edit, what a gene drive enables you to do is then drive that trait through the population using sexual reproduction so that change becomes permanent … Which obviously then raises some significant questions that you want to ask. Like, well what happens if that trait passes to another species? What happens if that invasive mouse gets off the island onto the mainland? Do we now have a problem with that? So the program that NC State is involved in … The Genetic Biocontrol of Invasive Rodents, we're looking at this from a holistic approach. So not just if you can develop the technology, but whether you should actually use it if you have that tool in your toolbox. The bigger potential here is that these community biotech labs are serving as an educational resource. Most of them teach courses about biotechnology. You can go into one of these labs and learn how to use CRISPR, for instance. And so part of what that can do is it can demystify the science, or demystify a technology that I think makes it easier to have a conversation about "should we be using this?" or "how should we be using this?" if you can actually go and see it instead of thinking it's locked away in the ivory tower of a university.